Hard disk bad sector is the most common problem and the disk is not safe to store data any longer. Bad sector will cause the important data loss and blue screen error sometimes, and even slow disk space. 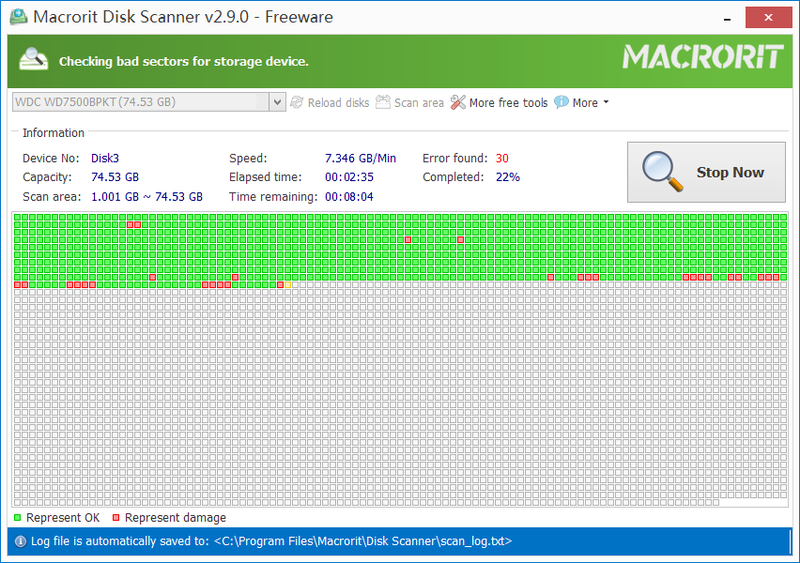 Macrorit Disk Scanner is a third party disk surface portable tool for scan disk bad sectors which provides you with better options and better performance than Windows native disk scanner. With the fastest algorithm, this disk scanner free software usually could reach to the maximum speed that supported by the device. It is compatible with all recent versions of Microsoft Windows - both client and server, and supports major storage device types such as IDE and SATA HDD and SSD, SCSI, FireWire, hardware RAID, flash cards and a lot more.